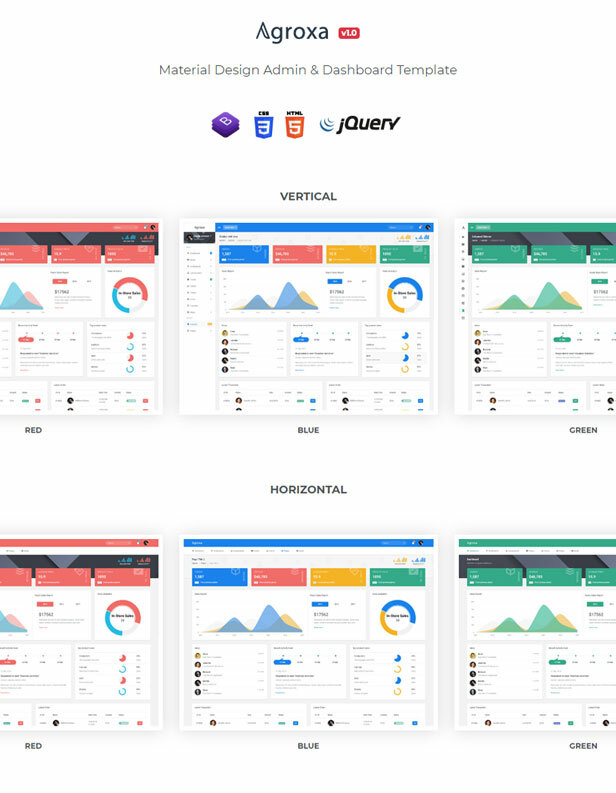 Agroxa is a fully featured, multi purpose material design admin template built with bootstrap 4, HTML5, CSS3 and JQuery. It’s a fully responsive and have very clean user interface that comes with a huge collection of components, widgets, UI elements. The code is super clean and can be easily customized and can be easily translated into building any type of web application including custom admin panels, analytics dashboard, ecommerce backend, CMS, CRM or any SASS panel.